Coming April 24, 2014. Saddle up TrailblazerGirl cowgirls! 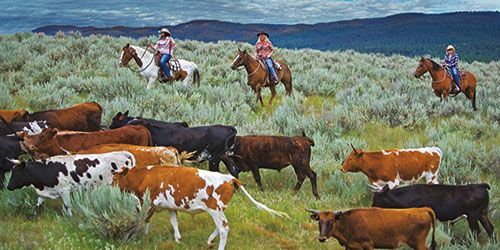 The Resort at Paws Up is offering a Cowgirl Spring Roundup next month. This luxury ranch resort in Montana is a 37,000-acre authentic working cattle ranch with lodging choices from posh vacation homes to glamping at its finest. In conjunction with the National Cowgirl Museum and Hall of Fame, your three-day weekend will be filled with trail rides, cattle drives, sporting clays shooting, photography workshops, gourmet meals, and s’mores around the campfire every night! Put on your 10-gallon cowgirl hat and head to Montana!